Skills and abilities: Victor is highly proficient in Kun Lun style martial arts thanks to his powers and further training by Iron Fist himself. He’s also proficient in the use of computers. 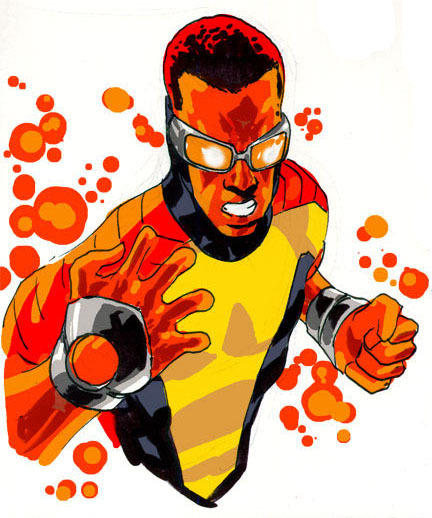 Powers: He can absorb chi energy from his surroundings without the need to meditate or concentrate. This chi energy enhances him to the point of invulnerability; he’s been shown surviving point-blank gunfire and surviving the bombing of his home; Superhuman strength allowing him to trade blows with Luke Cage. Since he absorbs chi, chi based attacks like Danny Rand’s Iron fist technique and Hand ninja dis-corporation are rendered useless due to him siphoning off the energy faster than it can be used. Since chi is life energy Victor can absorb the very life force of those around him though he has not mastered it. When his building was destroyed he absorbed all the life forces of those who died and as a result seems to have gained the accumulated knowledge there in. His martial arts prowess comes from Javier one of Iron Fist’s most prodigious students whose life force he absorbed. Additionally when he hits things while using his powers they tend to explode. Victor was born to Black Supervillain/former gang member and friend of Luke Cage who was known as Shades and Maria Alvarez. He idolized his father despite his villainous past and often absence. After his father had reformed and was now just a peaceful racial activist his mother kicked Shades out of the house because she was tired of the upheaval he brought to there lives [Shadowland: Power man #2]. Victor now a teen was ready to leave with his father but wasn’t allowed to. His father wanted a different kind of life for him one free of being jailed and beat up constantly. Victor was upset and cursed his father right as the building was blown up by the Daredevil villain known as Bullseye [Shadowland: Power man #2]. Victor miraculously survived the ordeal by somehow absorbing the chi of all those who had died [Shadowland: Power man #1]. Victor fashioned himself a costume and set himself up as a “Hero for Hire”. This brought him to the attention of Luke Cage and Iron Fist as well as the Hand who were now working for Daredevil in what they classified as Shadowland. Victor fought, superhero Luke Cage, and supervillains Cottenmouth, Nightshade, Comanche, Mr. Fish, and Cheshire. He barley managed to escape with his life [Shadowland: Power man #1 and Shadowland: Power man#2]. Found by his cousin Sofia he found a confidant and ally to aid him in keeping his super exploits secret from his family [Shadowland: Power man #2]. After recovering he was set up by Deadly Nightshade who lured him into a trap and managed to negate his powers. She proposed that he work for her after telling him his powers were a result of her technology which was present in his father’s goggles being lodged in his body when his building exploded. Unsure what to do, when Nightshade reactivated his powers he attacked Iron Fist [Shadowland: Power man #3]. Despite his seeming attack he quickly dispatched Nightshade and sided with Fist against her and her minions. Iron Fist/Danny Rand aided him in tracking down and rescuing his cousin Sofia from “the Hand”. In the end it was Victor who defeated their seemingly unbeatable foe and saved the day. Iron Fist then took Victor as his apprentice while giving him a job at the Rand foundation. Danny also provided a cover for Victor by talking with his mother Maria [Shadowland: Power man #4]. Victor soon found out life as the apprentice of Danny Rand was full of adventure as they battled the Commedia Dell’Morte and he met the mysterious Noir [Iron Fist and Power Man #1-4]. After this he made new allies with Arana/Spider-girl, X-23 female clone of Wolverine, Amadeus Cho former partner to Hercules and Kevin Masterson son of Thunderstrike. They were known unofficially as the “Chosen” during the Fear Itself Event [Fear Itself-The Home Front #5-7]. When the Avengers Academy expanded he was one of the people recruited [Avengers Academy #21]. 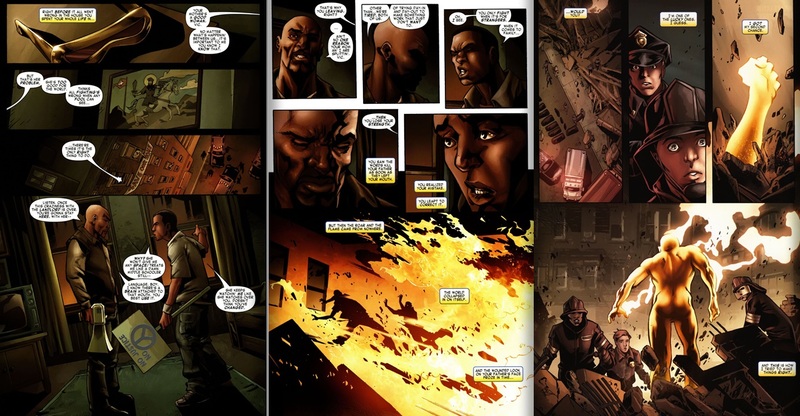 During INFINITY he is seen working for Luke Cage alongside Ava Ayala in a new “Heroes for Hire” trio. Despite being on Luke’s payroll they continued to have personality clashes [Mighty Avengers #1] . He was later one of the heroes drawn into conflict with Shuma Gorath alongside Luke Cage, Blue Marvel, Monica Rambeau and Ava Ayala [Mighty Avengers #1 and Mighty Avengers #2]. After the incident he joins Luke Cage’s Mighty Avengers team and shows a mutual attraction with Ava Ayala [Mighty Avengers #3 and Mighty Avengers #4].